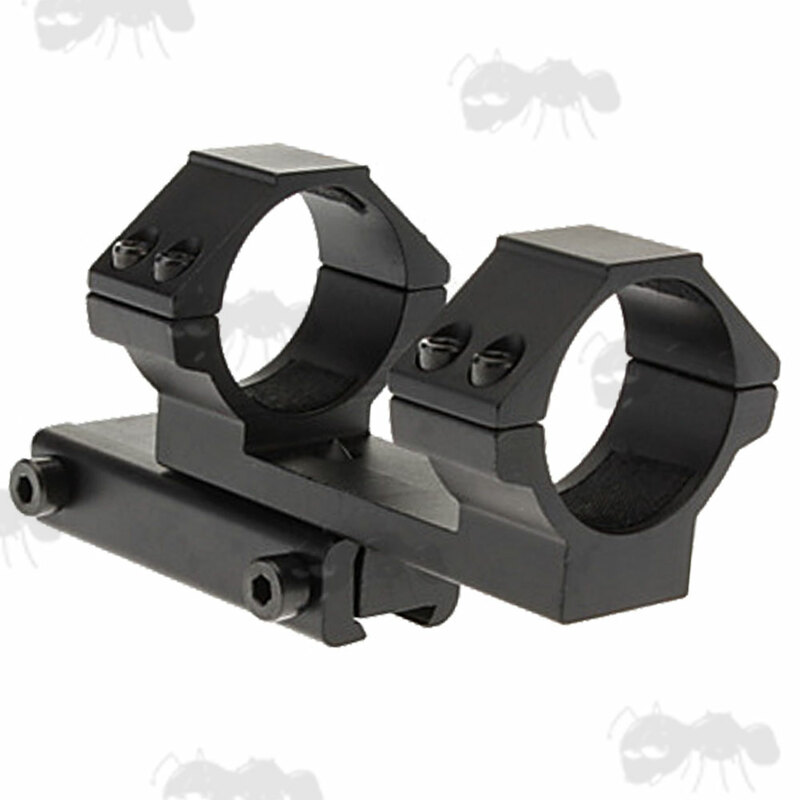 The cantilever throws the scope out front, allowing you to get the correct eye relief. For standard UK 9.5mm-11.5mm wide dovetail rails. Gap between the rings ~ 38mm. Choice of 1 inch (25mm) rings or 1 3/16 inch (30mm) rings. Thickness of the rings ~ 18mm. 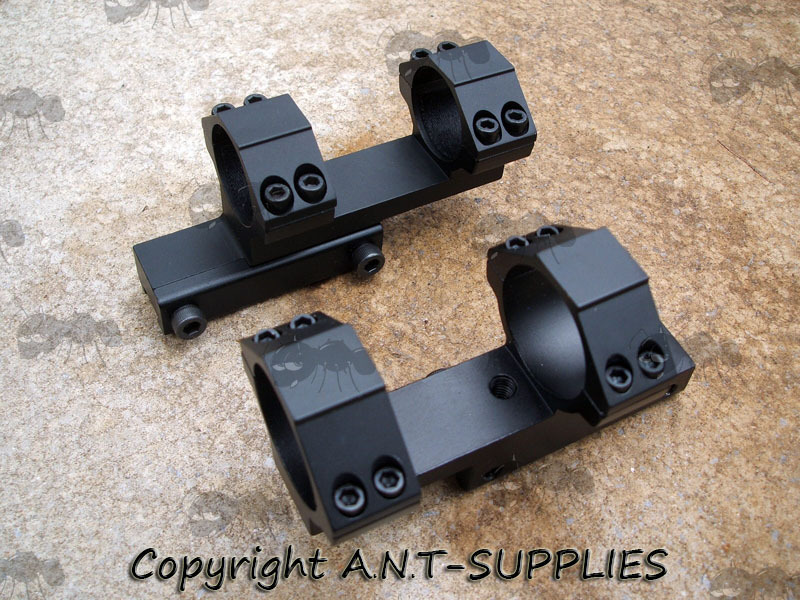 Overall length 100mm, height 52mm, width 40mm. With large removable arrestor pin to prevent scope creep. Twin mounting screws for secure clamping. 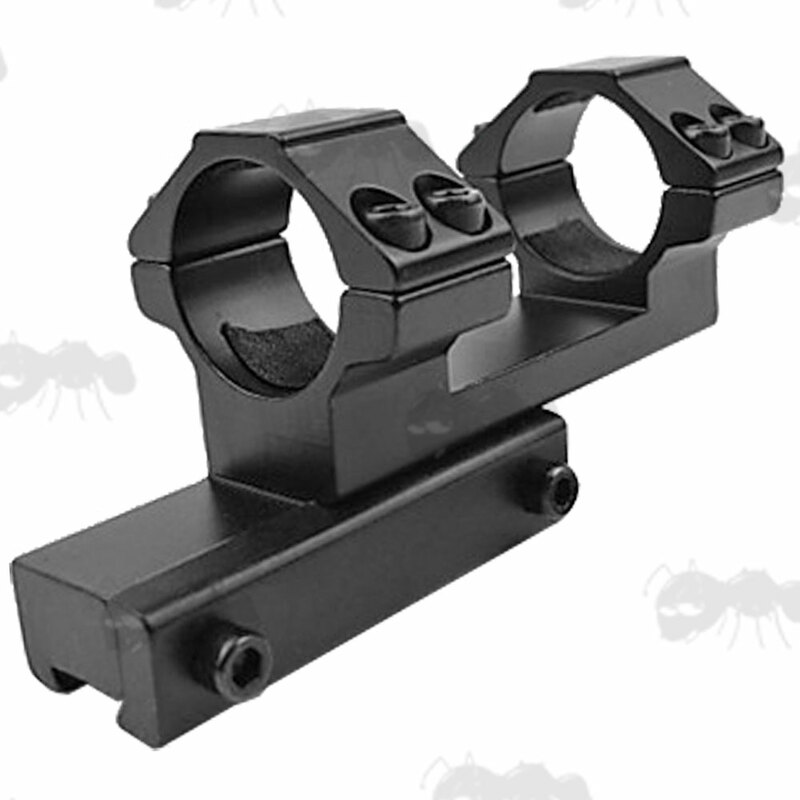 Also available as Weaver / Picatinny rail forward reach cantilever scope mounts.